Mackay, the first mining town on our travels and as boring as it sounds!-not a lot to see-we did however visit our first drive through bottle shop-wow! why dont we have these in England?!! 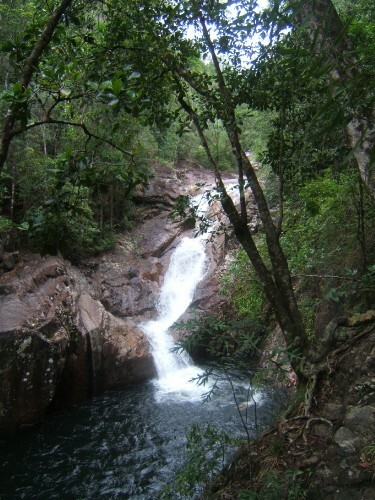 We headed up to Aruella Falls for a rainforest walk where we saw a massive lizard thing ahh-the higher we get in Oz the more scary stuff we see :( and we also had a swim in the falls to cool ourselves down after the long walk.